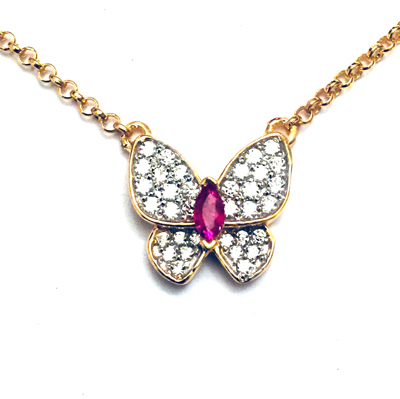 A delicate golden butterfly rests around your neck on an 18" long fancy 14k solid yellow gold, in center 0.15 ct Genuin Ruby on 0.60 ct diamonds . 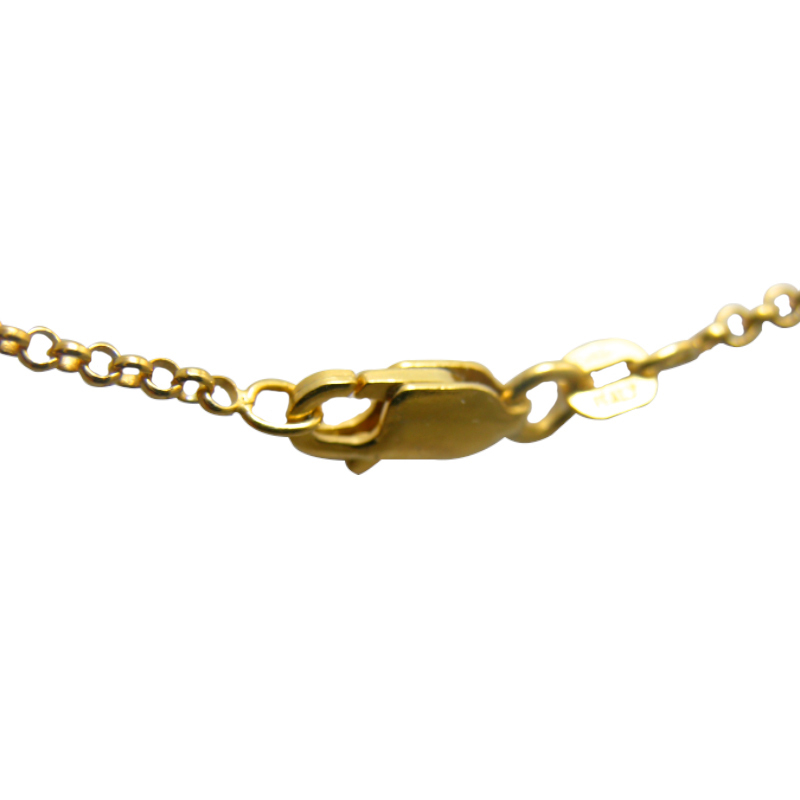 This solid 14k gold necklace would make a beautiful collectors item, or look great to wear. 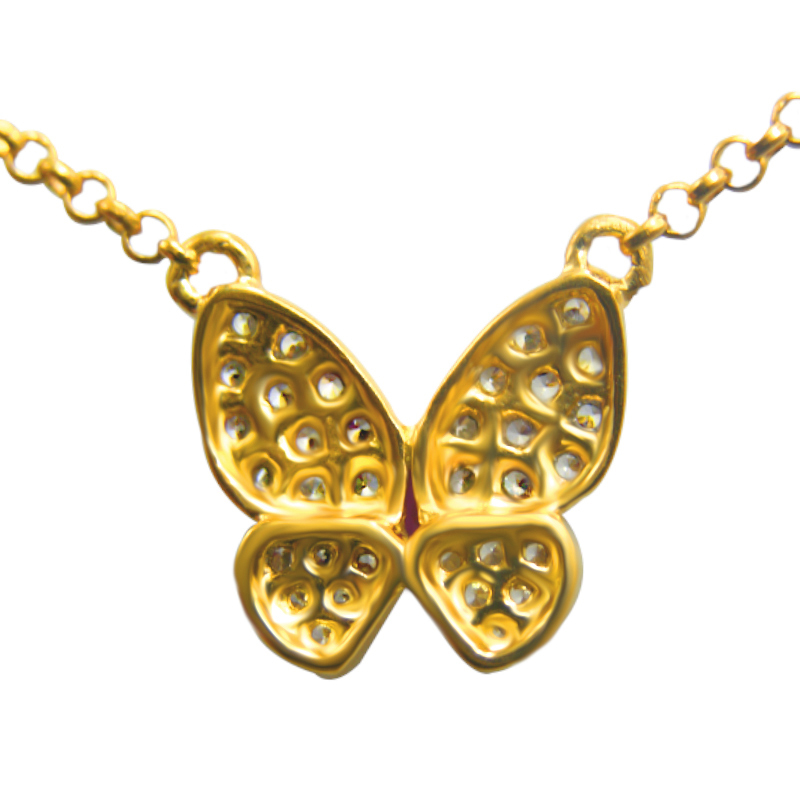 This is a brand new item and is manufactured on our premises in New York City's Diamond District. Necklace comes with free company Certificate of Appraisal. Buy direct from the source.Order online or By Phone anytime : 24 hours a day, 7 days a week. Our Warranty:All our items have lifetime warranty against manufacturing and workmanship defects. 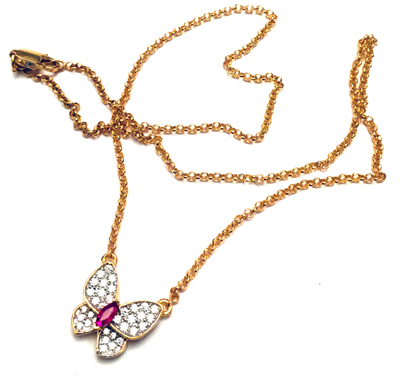 Any damage or abuse to the original quality of the jewelry will void the warranty. 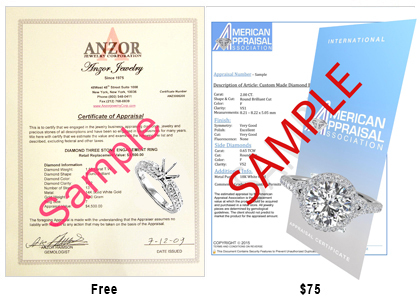 If there is any modification, alteration or damage to the jewelry as well as diamonds and gemstones, all warranties through anzorjewelrycorp.com become void.